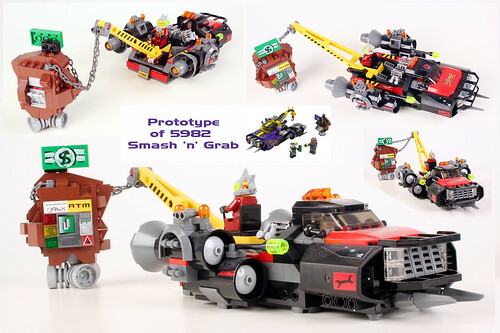 LEGO designer Mark Stafford gives us a rare peek behind the scenes at LEGO with this prototype for Space Police 5982 Smash'n'Grab. Many factors determine what goes into a final set, and typically many prototypes are created. It is not uncommon for a more elaborate model to be simplified somewhat to meet the constraints of manufacturing. In this case budget limitations mandated simplification when this model switched places with the 5983 Undercover Cruiser's price point.